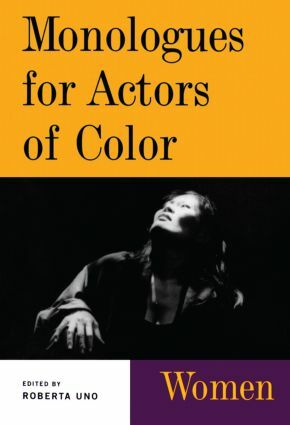 This collection features 45 monologues excerpted from contemporary plays and specially geared for actors of color. Robert Uno has carefully selected the monologues so that there is a wide-range of ethnicities included: African American, Native American, Latino and Asian American. Each monologue comes with an iintroduction with notes on the characters and stage directions to set the scene for the actor.